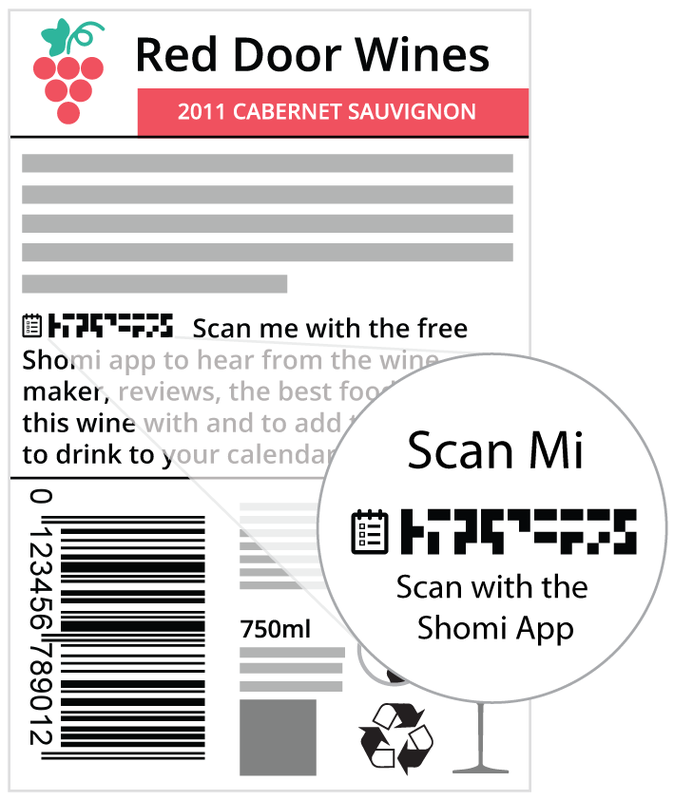 Forget long url’s, clunky QR codes and optically-challenged OCR scanners. Shomi is the simplest and smartest-looking new way to take someone from print to your digital content. Unless you’ve got a huge print marketing budget, it can be difficult to get your brands message in front of your audience. That’s why you need Shomi on your side. Shomi is the better way to connect your print to an unlimited amount of digital information online. When your audience scans your Shomi Link @UA2OSQY8 using their smartphones, they’ll be taken to online information, videos, offers and more. Whatever you want them to experience and without any annoying typing in of URL’s. Show more of your brand without using any more space. 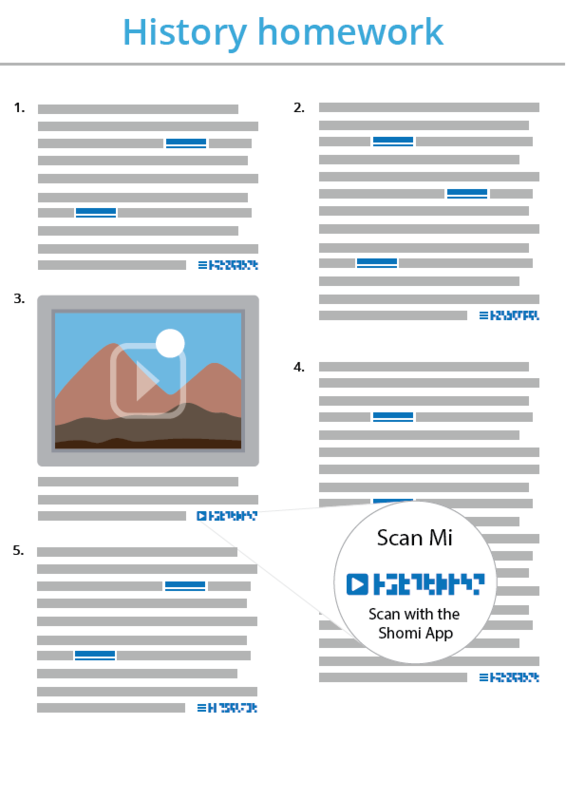 Get the free Shomi app and try scanning these Shomi Links! Print out these examples or scan from the screen. Shomi isn’t just a clever way to inform your audience, it’s also a smart way to educate them. QR codes have been used in the classroom for years. Shomi is better. Because it’s so easy to use, students can start using Shomi at a much earlier age. Shomi can help students who need extra support. Using an iPad or smartphone, they can quickly get to the information they need online. No need to type in long web addresses so no mistakes. A quick scan of the Shomi Link and students can go straight to the digital content. We designed Shomi to work its best when you don’t have much space but you still need to share more information with your customers. There’s no place where space is more limited than on a product label. Give your customers the information they need to decide whether to buy your product with Shomi. Because Shomi is a font-based code, it’s easy to include on your label. It gives your customers a recognisable link to all that information stored digitally online. Shomi is a powerful marketing tool that’ll make your brand look serious. What makes Shomi so good? 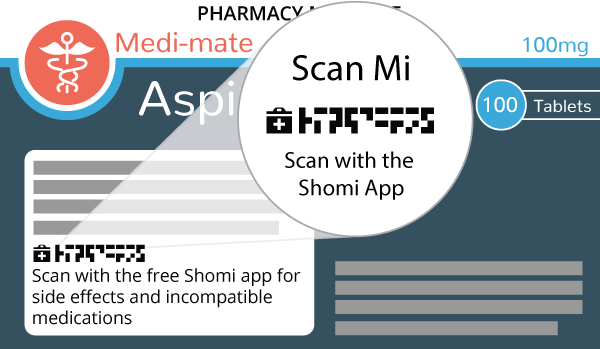 Unlike a big QR code, the Shomi Link is based on a font so it fits tidily into a line of text. It saves you space and puts a smile on your designer’s face! Just like a font, you can easily edit the Shomi Link using word processing or design software. If you can cut and paste, then you can master Shomi. Change the size, even customise the colour. Try that with a QR code! The Shomi Link you created is a unique code, but unlike a QRcode, you can update where it points your user to. If you already have a Shomi Link printed on a label, for example, there’s no need to print a new Shomi Link. Just update the URL. Even though the Shomi Link fits sweetly into your design, it still looks like a scannable code. Your audience will easily recognise it and know there’s more content just a scan away, just tell them to download the Shomi app. One tap on the free Shomi app and your readers can view, interact, share and more. 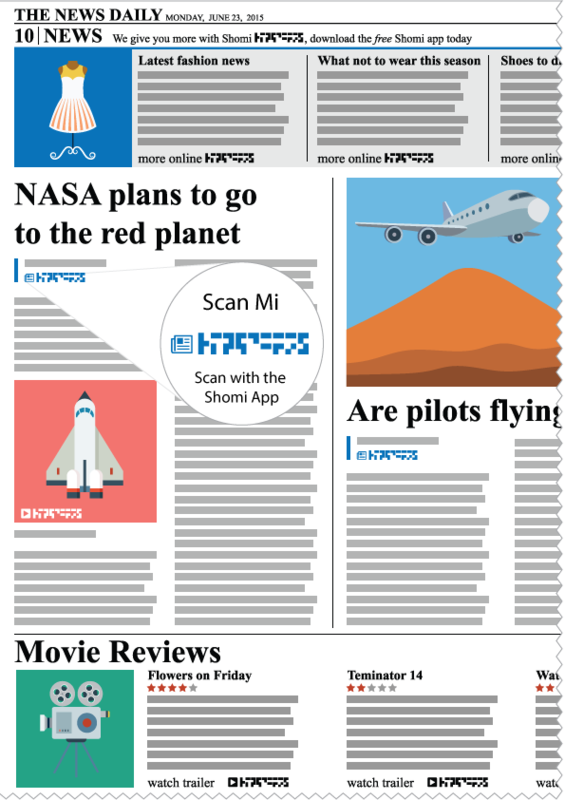 Scans are also stored in the app’s history so there’s no worry that your reader will lose your link. That’s right. Using Shomi is free. There’s no limit to how many links you can create or how often you can edit it. Don’t have mobile friendly content to link to! No need to worry, we have provided the tools you need to create you own mobile content to link to.Try our simple mobile template builder! Shomi also comes with a base set of analytics. Track how often your Shomi Link is being scanned. Your printed material now has a tangible ROI to report on. Get the Shomi scan app now for FREE!